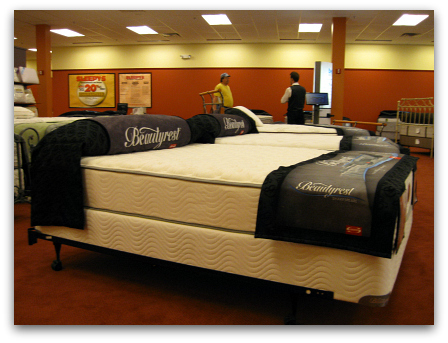 Consumer mattress reviews can really come in handy when you're in the market for a new bed. This section of the site is devoted to those who have something to say about their mattress and wish to help others in their purchasing decision. I want to provide a way for folks to share information and contribute advice. In celebration of the premier of my new Facebook page I'd like to introduce a monthly mattress review contest! Beginning on June 1st, 2012; whoever writes the best review each month will win a $25 Amazon gift card. The rules are simple: in order for consideration to win the contest a review must be well written, at least 400 words in length, and must answer fully all of the questions suggested at the beginning of the review form. After submitting a contribution, you will see the Thank You page message, with an option to be contacted when I accept the submission. There are three notifications that you can ask to receive. Notification that your submission has been accepted. Notification that other visitors have commented on your submission. Notification that other visitors have also submitted a contribution to the site. You must accept the option to be contacted when other visitors comment on your submission. This is how I will notify you that you have won. If you do not provide a valid e-mail adress I will not be able to contact you to let you know that you've won. Please double check that your email address is correct. If no suitable review is received in a certain month then no prize will be awarded that month. Have fun and don't forget to check us out on Facebook! Follow the links below to write a review of your mattress or to read the reviews left by other visitors to the site. 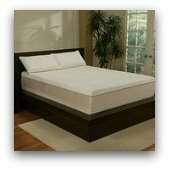 Why Do People Need Consumer Mattress Reviews? Finding the right mattress is important, and you want to get the best one you can for your money. There are a ridiculous number of different kinds and it can be tough to know which one's right for you. You need some way of learning the different features of certain types of mattresses, such as how long they're likely to last and the price ranges to expect. Reading consumer mattress reviews can be a good way to understand the benefits and drawbacks of various construction materials and designs. They can help you get a general idea of what to look for and how to avoid common pitfalls. It's great to find mattress reviews by people who've actually used them and are willing to share their experiences with you. There are hundreds of models available in retail stores, and it can be overwhelming to look at them all. It's not a good idea to go mattress shopping without first checking out some consumer mattress reviews. How will you know which level of support to look for, which brands tend to be more durable, or which type are suitable for people with allergies? Without any knowledge of the different types you can't make an informed decision. You'll end up picking whatever mattress strikes your fancy or will be sold the model that will make the salesman the highest commission. In this instance it would be unwise to let someone else make the decision for you. Mattresses come in 5 different sizes (from smallest to largest) - single (or twin), full (or double), queen, king, and California King. You will need to decide which size you want and whether it will fit in your bedroom before you go shopping. Mattress construction can be divided into 2 basic layers - the support layer and the comfort layer. There may be numerous different layers of material in the mattress but they can be divided into these two general zones. The support layer is in the core and makes up the larger part of the mattress. It is usually either a frame of coiled wire springs, a thick piece of foam made from rubber latex or polyurethane, or an air filled chamber. The comfort layer is the top layer that you actually sleep on. The materials used vary widely and can include cotton, memory foam and latex. If the mattress is double sided there will be a comfort layer on both sides so the mattress can be flipped. At one time all mattresses were made like this but they've become somewhat rare in recent years. Manufacturers have mostly switched to one sided mattresses as a cost cutting measure but market them as "no flip". 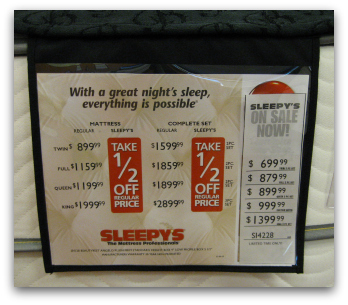 Double sided mattresses can last up to twice as long and generally receive better ratings in consumer mattress reviews. 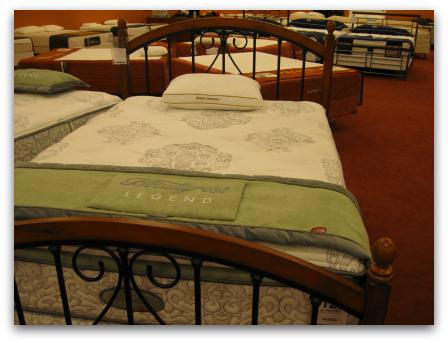 There are 3 general comfort levels to choose from - firm, plush and pillowtop. You will see all kinds of other terms such as extra firm, ultra plush and euro box top but those are just variations on the basic three. There are four main types of mattresses which come in the above sizes and comfort levels - traditional innerspring, latex foam, memory foam and air beds. Spring mattresses still have the largest market share by far but memory foam and latex have become quite popular and air beds are gaining consumer interest. 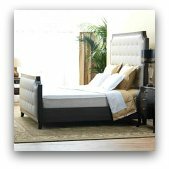 There are many brands that make excellent mattresses but there are a few that stand out from the rest in consumer mattress reviews such as Sealy, Serta Simmons and Tempur-Pedic. Another brand that has made a splash in the American market recently is Select Comfort. Their Sleep Number bed uses dual air chambers which allow you to adjust the firmness differently on each side of the mattress and be customized to both you and your partner.